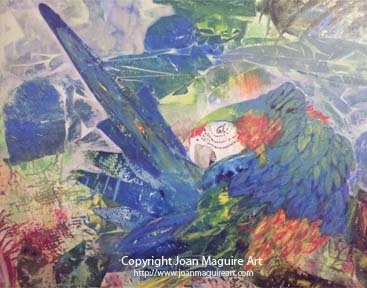 Dabbling in arts all my life, I began concentrating on what always made me happy…watercolor and painting. I have developed a wonderful following of collectors, awards and one-woman shows. I feel fortunate to be able to bring pleasure to people with my art. 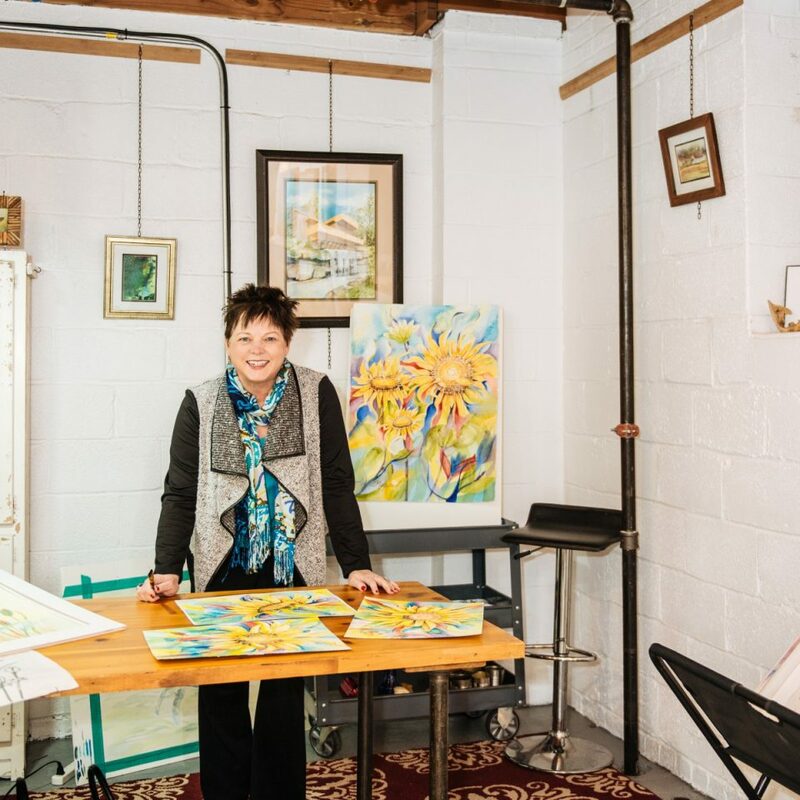 I have a diverse collection of subjects that I paint ranging from stone barns to tropical palms, sea turtles and hibiscus. I like to try different surfaces, depending on the subject matter. Along with 300 lb. Arches paper, I like to paint on Yupo and Masa paper. Watercolors on Yupo paper (a plastic-like surface) result in a deep richness. The paint lays on top, easily flows and pools. It is a great surface for palms, water, large floral and abstracts. Watercolor on Masa paper has been an intriguing process to learn and create on. 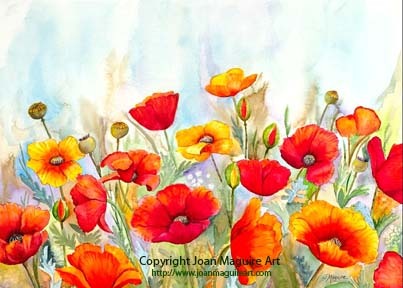 It results in a semi-transparent background images and subtle textures – great for koi paintings. Watercolor painting parties are part of my repertoire. These will be available at the Millworks, at local venues and in private homes. High quality artist watercolor paint supplies are used – the same I use in my own paintings – with a variety of themes available. 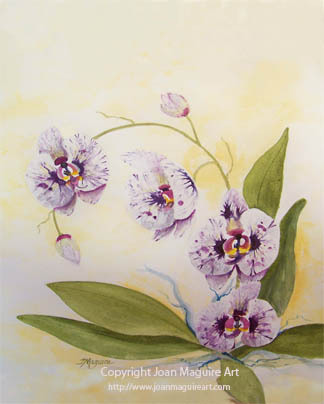 Watercolor painting group lessons will also be available at the Millworks. Formerly from Chester County, home is now Hershey, Pennsylvania. In the summer I paint at our summer island cottage on the Susquehanna River. Employed by the Commonwealth in marketing and promotions I create my art evenings, weekends and while traveling. 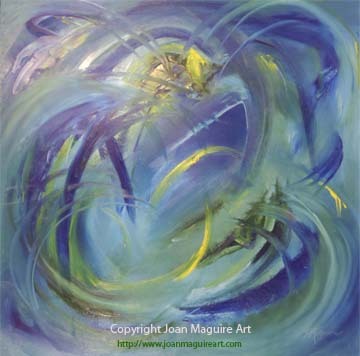 Because I want clients to love the art they buy, I will bring my art to your home, under no obligation. Feel free to contact me via phone (717-580-1614), email, or my website. Thank you!